What Is Health Care Like in Germany? Before you begin working your way to foreign language fluency, it helps to understand the culture behind the language you’re learning. After all, language exists to help a group of people express their ideas and beliefs. Germany is an old country with a rich history and culture. As you begin your German language program, gaining a strong grasp on this history, the values, and the etiquette will help you rapidly achieve success. 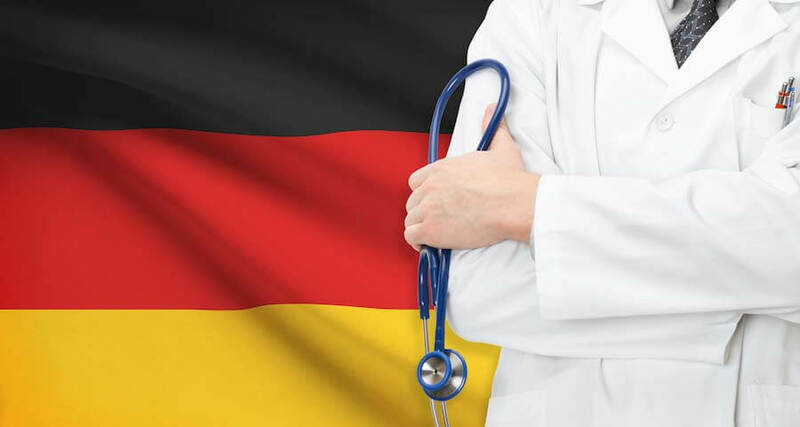 In particular, Germans have an incredible health care system that is accessible to its citizens throughout the country and that provides medicine and care. Unlike in the “drug stores” so common in other countries, pharmaceutical products in Germany are sold in two separate stores: the “Drogerie” and the “Apotheke.” The “Drogerie” sells mostly cosmetics and personal or domestic hygiene products; the “Apotheke” is usually the business of a dispensing chemist, who is licensed to offer medicine to the customer. Pharmacists also recommend medicines, and there is a weekend rotation system in place to ensure that a pharmacy is open 24/7 to fill urgent prescriptions. Also noteworthy, in Germany, the price marked on each product is the sale price, with tax having already been included. As mentioned above, it is considered common courtesy to greet others in a store—“guten Morgen” or “guten Tag” will usually suffice, or “grüß Gott” in the south of Germany. As new residents acclimate to the German community, they will doubtless find this custom a friendly and neighborly thing to enjoy. The German people are also distinguished by their desire to make sure they get exactly what they want when dealing with a list of purchases. Getting the products, prices, and change exactly right can sometime include persistent questioning, which may take a little bit of time, and new residents are advised to have extra patience when encountering such a situation. There is no much difference between security and health issues that exist in Germany and those that exist in the US and UK. Germany is considered to be one of the countries in world with the most current healthcare facilities. In Germany, the prerequisite for seeing a doctor is your insurance certificate or European Health Insurance Card. You can visit a local doctor on a routine basis and be offered English-speaking support if in need. The medical facilities have rooms for emergencies and accidents. Plus, there are special clinics. Pharmacists in Germany are allowed to prescribe painkillers, issue over-the-counter drugs, and sell homeopathic drugs. Some over-the-counter drugs in Germany will need doctor’s prescription in the US or UK. To access emergency services such as medical ambulance, police, and fire, there are emergency contacts that can be found online at germany.angloinfo.com/inside/emergency-numbers. Generally, 110 is the nation-wide police hot-line, and 112 is for fire and ambulance. Remember, different German states may have varied hot-lines. Germany experiences reduced cases of violent crimes compared to the US and parts of Britain. To avoid being a victim of a crime, you need to take certain common-sense precautions, including the following. Keeping your items safely in a secure bag when traveling. Keeping your original documents separately from their copies. Observing your luggage while in public places.